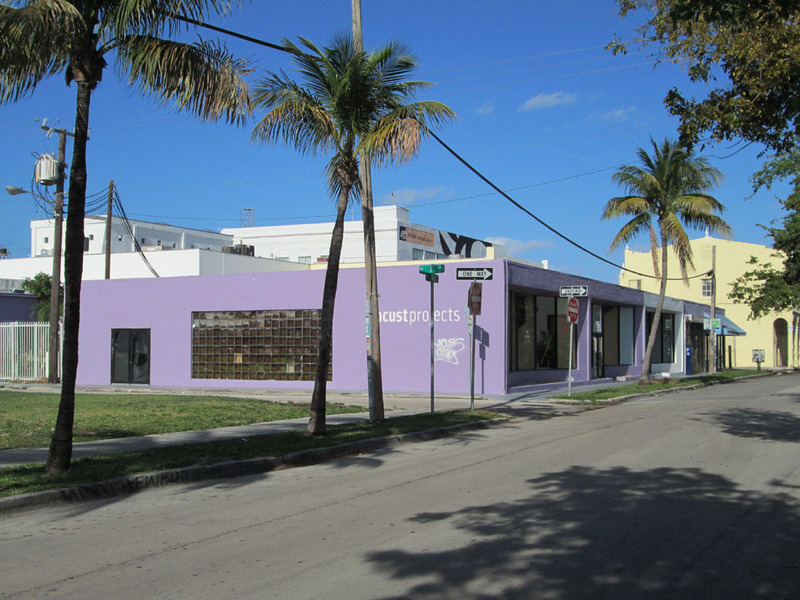 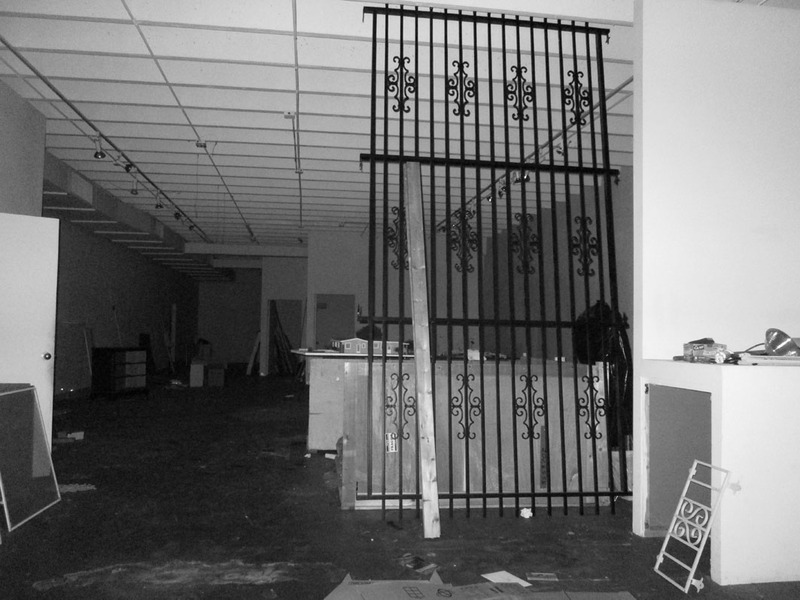 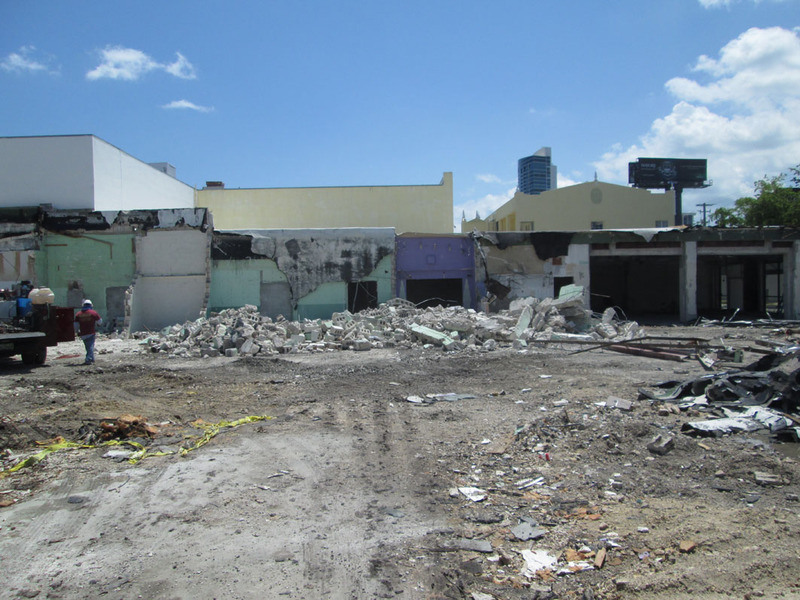 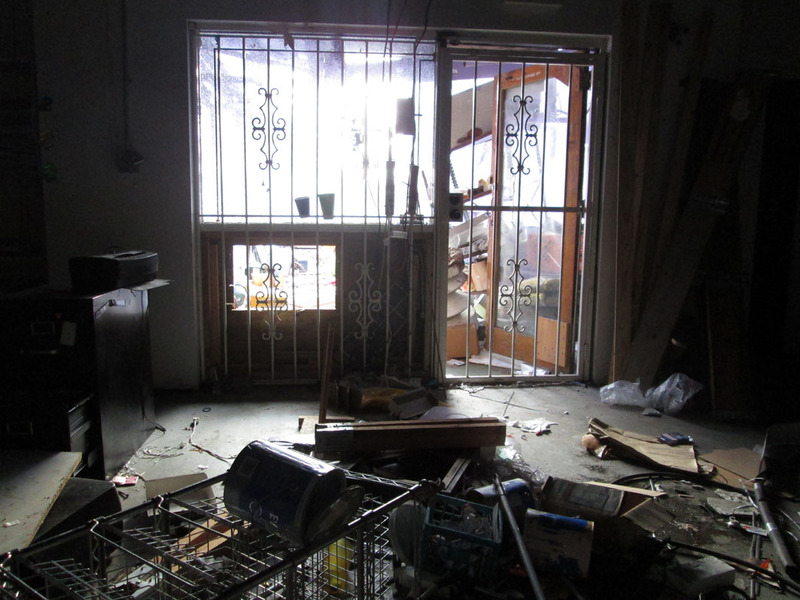 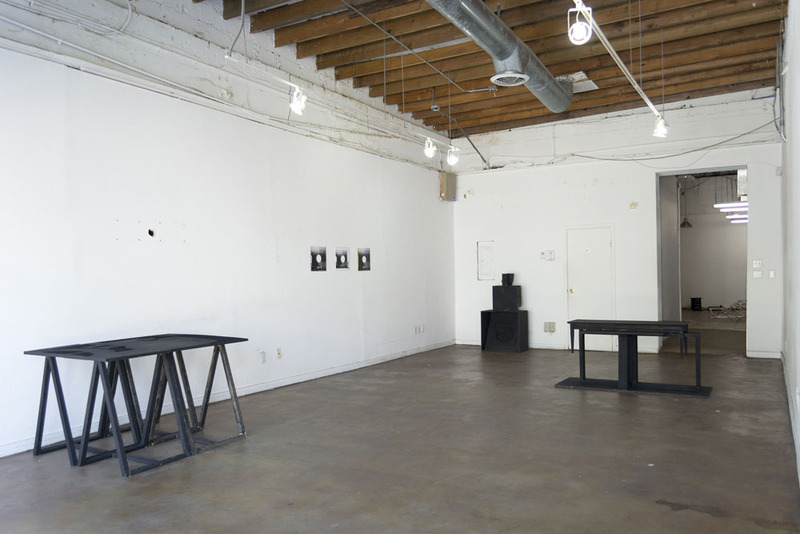 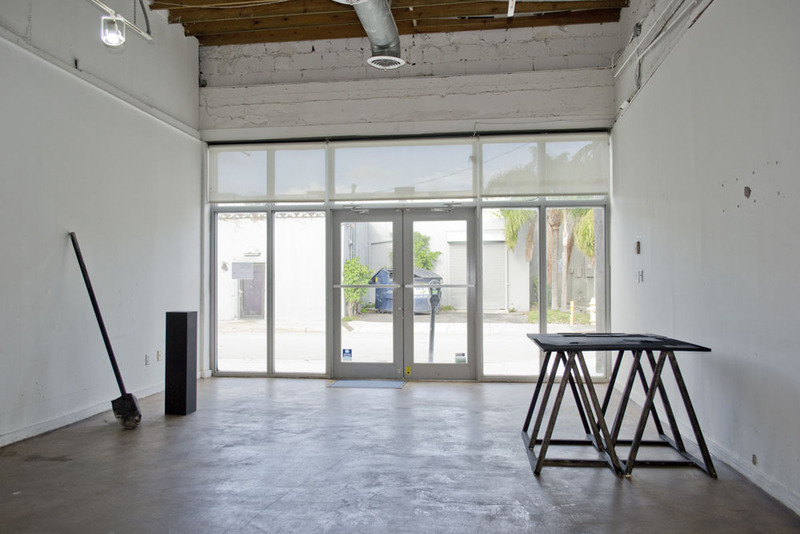 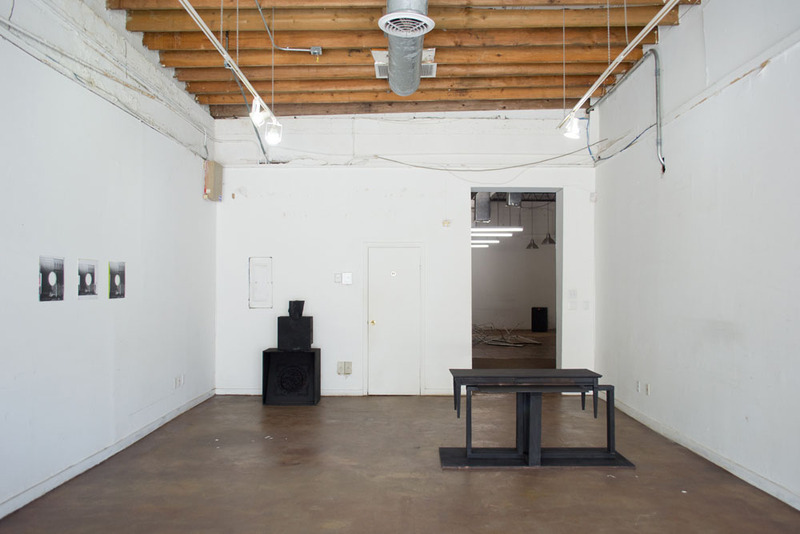 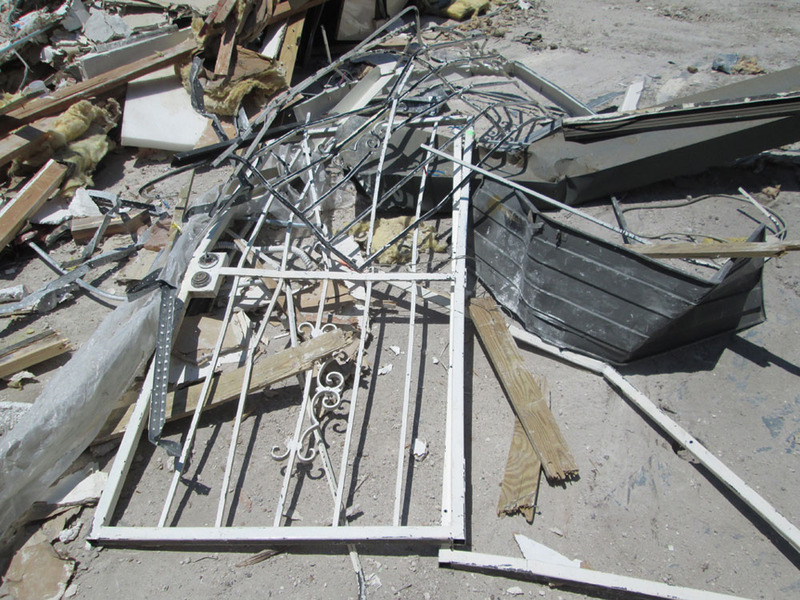 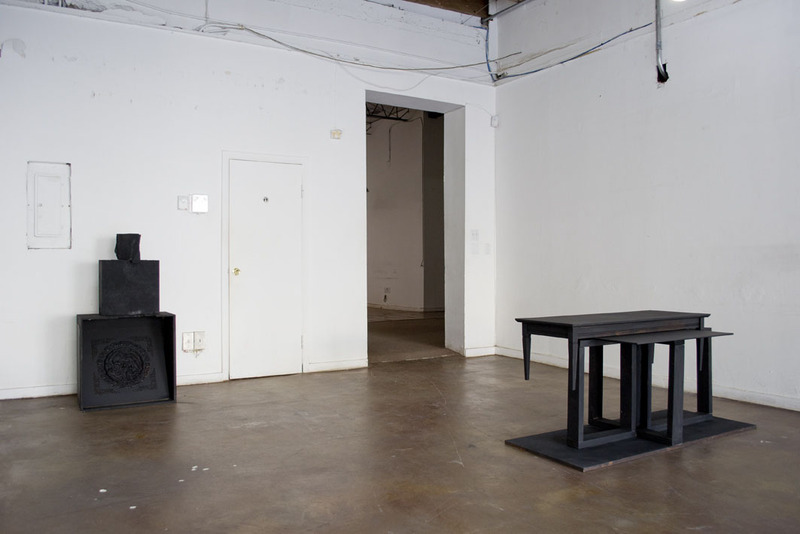 In May 2012, DimensionsVariable and other local Miami arts organizations were forced to vacate the building they occupied since it was slated for demolition. 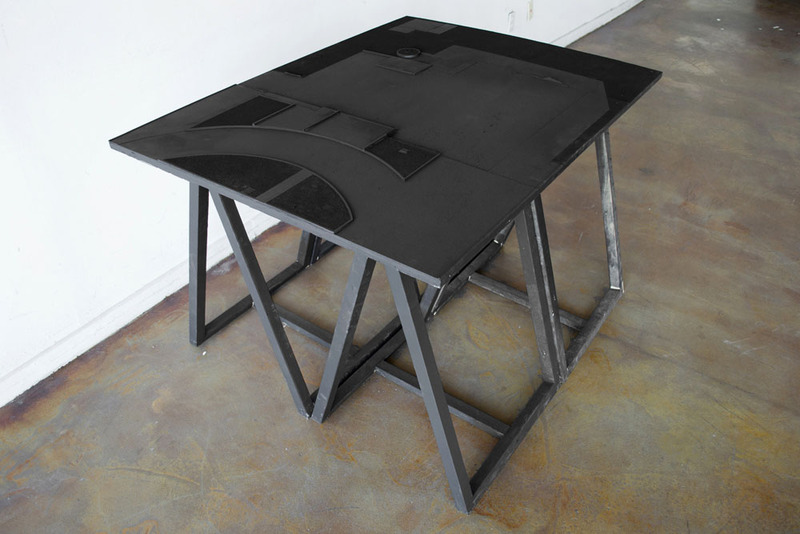 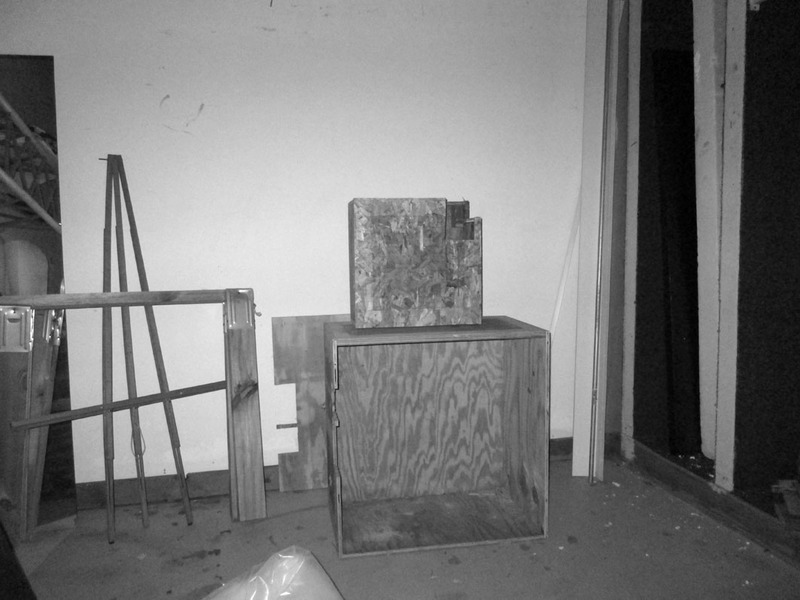 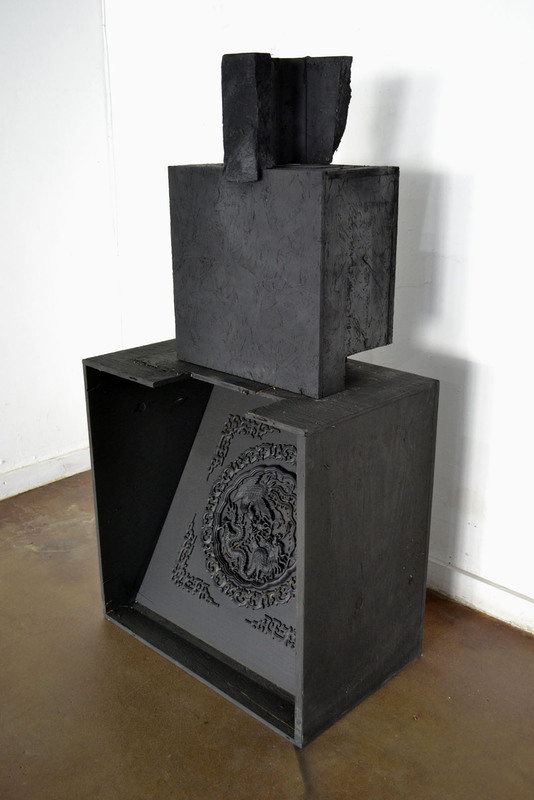 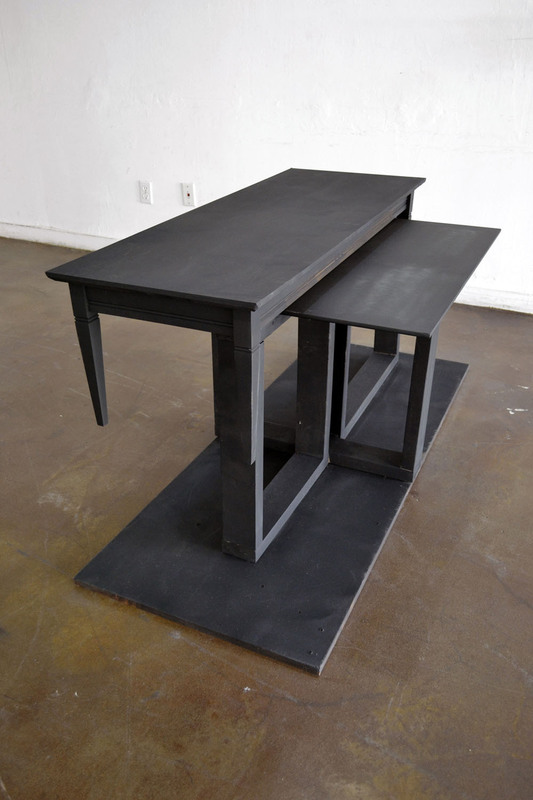 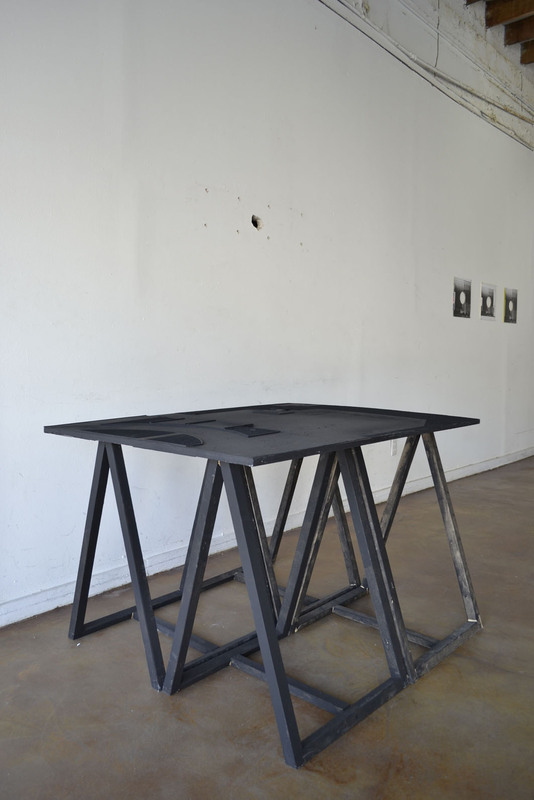 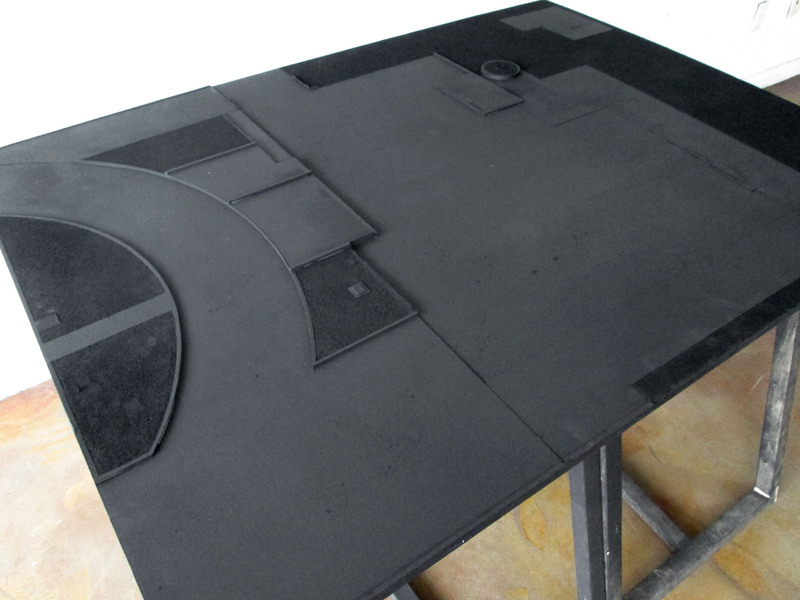 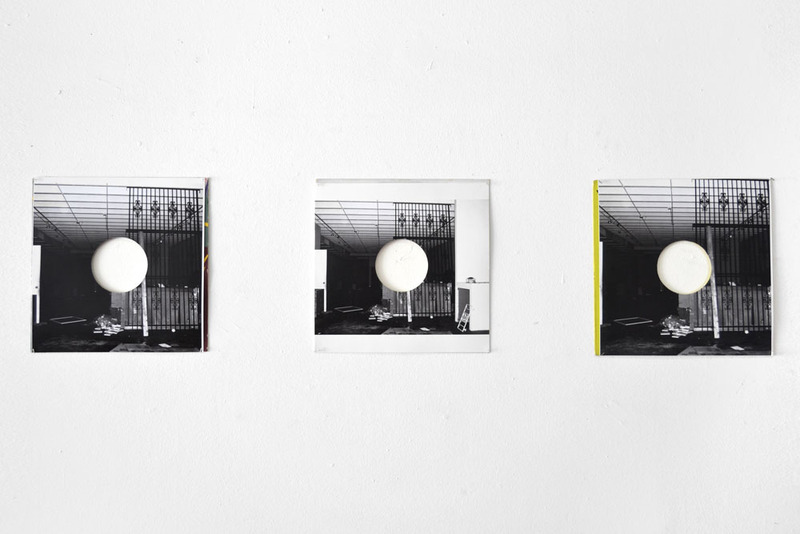 For AABBCCDV, materials left behind in the abandoned building by former tenants—some of which were finished artworks or materials used in the production of artworks—were removed, reconfigured, painted black, and staged in an alternative, temporary space as a gallery exhibition of "artifacts" from the site. 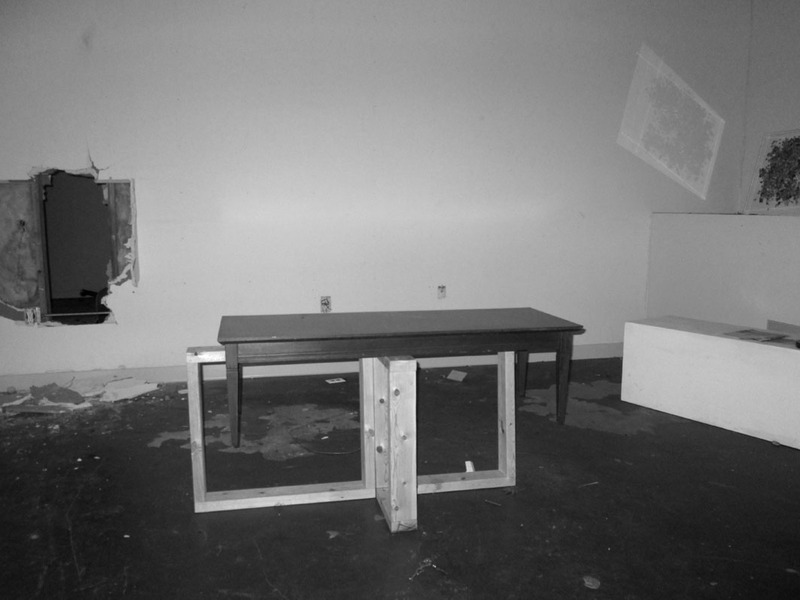 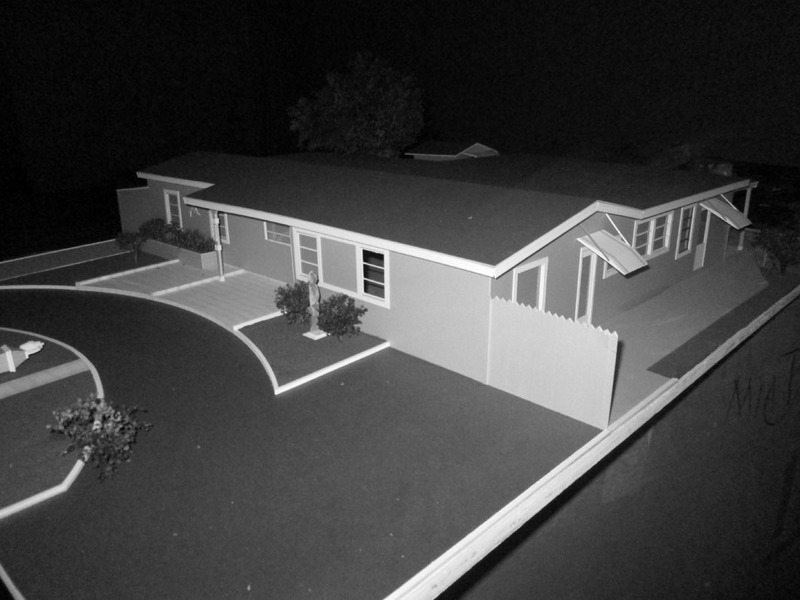 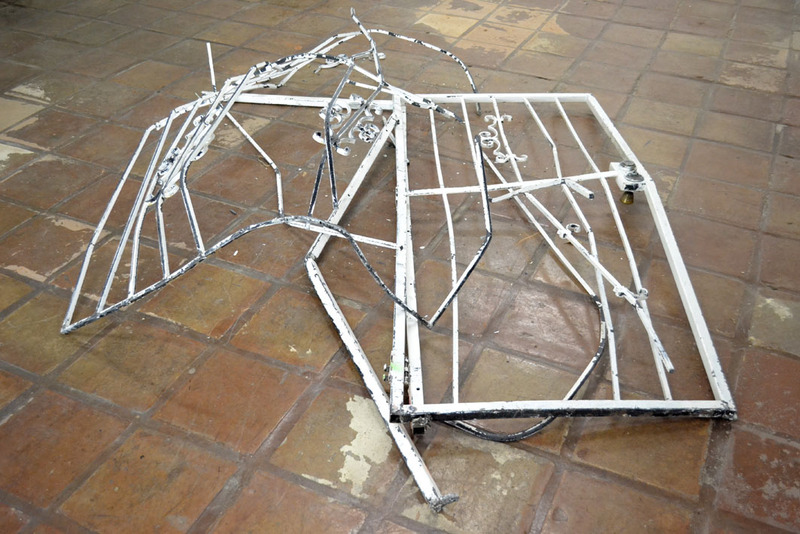 Presented in the back room of this temporary space was a twisted white metal gate, which was removed from the original site post-demolition, and a 12" record edition of the former DV building being destroyed, created by placing contact microphones inside the structure and capturing the sounds of the architecture as it was razed to the ground. 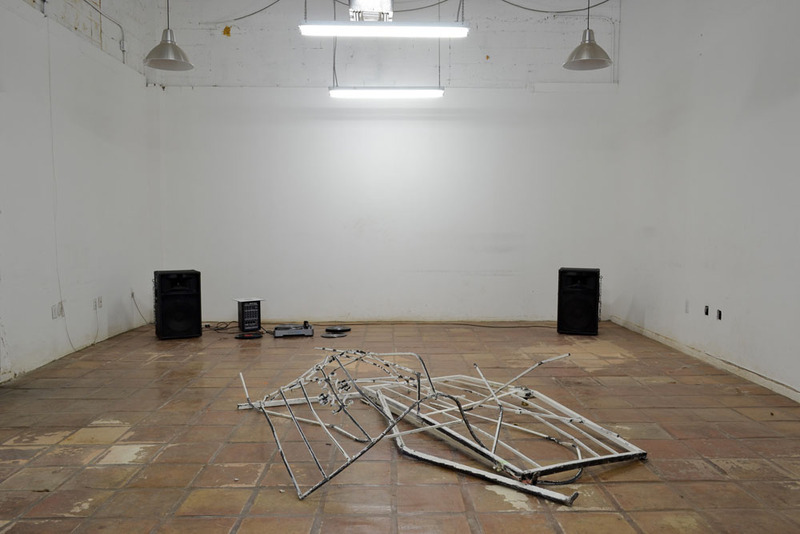 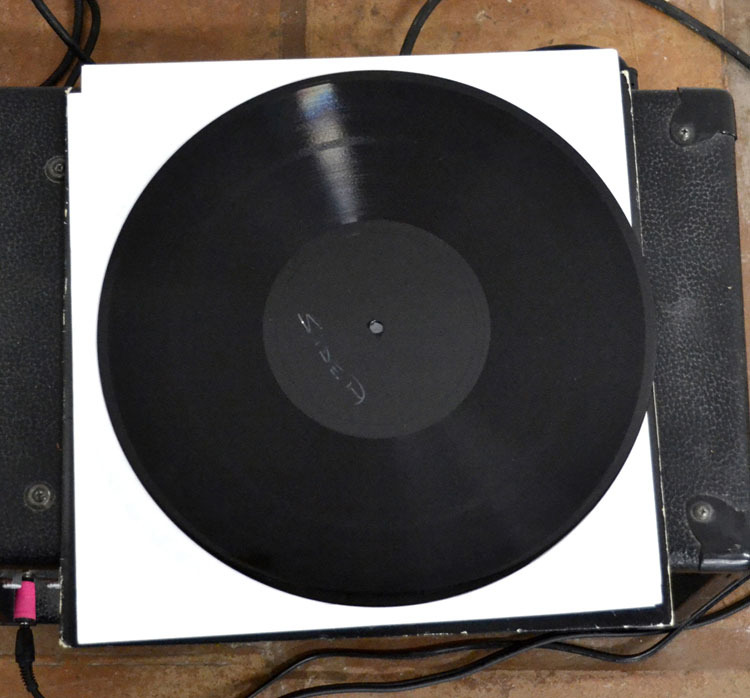 For the exhibition opening, a stack of various records found in the former building, and which had likely been played at other opening events and parties, were alternated with the specially-produced recording of the building's destruction.